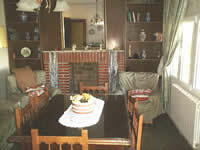 We rent for short periods of time a beautiful chalet 3 km far from Granada, in the South East of Spain. 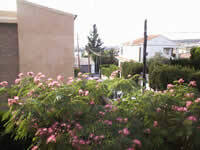 It's situated in a residential area in the village of Cájar, with good comunications with Granada. The house is suitable for 7-8 people. It has two floors, with 5 bedrooms, 2 bathrooms, 2 livingrooms, a kitchen, outside area with table and chairs and a terrace with views of Granada. Parking: It is no problem to park in the street. If you want you can park inside the chalet. Swimming Pool: The house has a little swimming pool you can use from May to October. 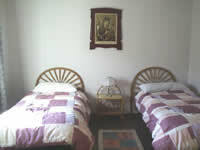 Heating: There are gas and electric heaters throughout the house. 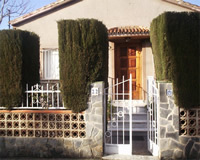 The house is in a residential area 10 minutes by car to the centre of Granada. Regular buses and taxi to the centre of Granada. Best for up to 9 people. Peaceful area. Excellent communications for beach, mountains, Alhambra, and 25 minutes to drive from this house to the ski station.